Arguably no operatic composer evolved more in his compositional style than Giuseppe Verdi, his works comprising four distinct periods. Scholar Julian Budden refers to Verdi’s early period (Nabucco, Ernani) as using “Code Rossini,” the conventions and templates for form familiar to us also in the operas of Donizetti and Bellini. This is often referred to as “Italian number opera” and offers labels such as aria, duet, trio, finale, etc. In Verdi’s middle period (Rigoletto, La Traviata, and Il Trovatore) and late period (Simon Boccanegra, Don Carlos), we see him continue to develop these conventions in a larger scale structure, while honing his attention to detail. Verdi’s late period ended in 1871 with Aida, and for more than 15 years he lived in retirement at Sant’Agata, his beloved country estate. (“Retired” is a stretch, as Verdi was still heartily at work composing his Messa di Requiem and revising Simon Boccanegra and Don Carlos.) What came next could not have been predicted by anyone, with Otello and Falstaff, through-composed and full of a fresh, young energy, carving out his final period. Georges Bizet touched on a familiar reaction to these two operas with his well-known comment, “Verdi is no longer Italian. He is following Wagner.” This is a common preliminary thought, but what is not often discussed is Verdi’s lifelong desire to see Italian opera evolve for dramatic reasons. (It is noteworthy that Verdi’s first known exposure to Richard Wagner’s music was the overture to Tannhäuser at a concert in Paris in 1865, and then in 1871 when he attended Lohengrin in Bologna with a score in hand.) Thanks to the preservation of much of his correspondence with librettists, conductors, and colleagues, we are able to glimpse behind the scenes and see some of what the Italian master was thinking long before this. An 1860 caricature of Verdi by Melchiorre Delfico. Here we see Verdi obsessively concerned with the dramatic elements of a character: the physical stature of this singer in regards to her being suited to the role, then with the abstract: absence (or the intimation of absence) of singing. In this same vein, Verdi also allowed vocal parts to be transposed if he desired a singer for dramatic purposes but they were not able to sing an aria in the original key. For a composer so greatly recognized by his construction of melody and retention of Italian tradition, these ideas are provocative and intriguing. To this unusual sentiment Budden remarks, “These are the words of a Wagner or Berlioz.” Yet Rigoletto was far from having “a single number,” as Act I alone has ten of them. In 1854, between La Traviata (1853) and Les vêpres siciliennes (1855), Verdi wrote, “When will the poet come who will give Italy a vast and powerful opera, free of every convention, various, uniting all its elements, and above all, new! !” Verdi’s letters to his librettists are ripe with frustrations, many times seeing the composer taking the reigns to the point of nearly becoming Schumann’s poet and composer in one, that role which Wagner successfully undertook. Here we see that Verdi saw, in his desire to be free of the constraints of convention, that the answer would be found in a librettist. Through these correspondences, we see a complex man, one deeply committed to the Italian tradition, but also deeply committed to seeing growth and evolution, especially in order for the drama to flourish. The move from theory to practice with this element came from an unlikely partnership. Giulio Ricordi, Verdi’s publisher, believed the post-Aida retirement to be a tragedy, a waste of talent (as well as a loss of profit for the publisher), so he set out on a strategic venture to bring Verdi out of retirement with a new opera. 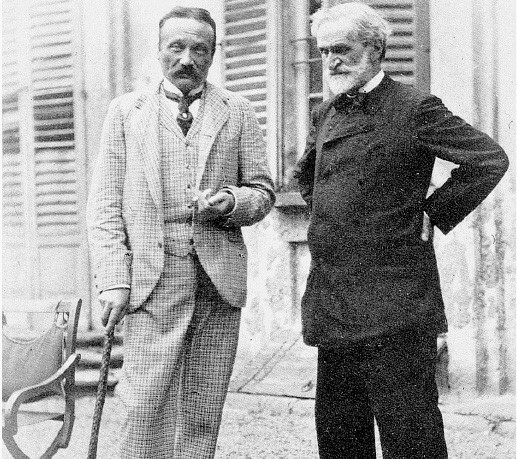 As early as 1868, Ricordi had urged Verdi to revise Simon Boccanegra, but the composer refused. Believing this to be an important and worthwhile endeavor, Ricordi again approached Verdi in 1879 with the idea of this revision, at the same time dropping the idea of composing a new opera based on William Shakespeare’s Othello. Fully realizing Verdi’s obsession with the dramatic quality of a work, Ricordi knew that if Verdi were to agree to a new undertaking it would need to be flawless, appealing particularly to Verdi, both in the subject matter as well as the librettist that would be presenting Verdi with verse. Boito & Verdi (from L to R), hanging out. What followed was unusual for many reasons. Arrigo Boito had, as a young man, created an adversary in Verdi when he criticized the established Italian composers for relying more on formula that form. These many years later, however, Verdi moved past old pains and revised Simon Boccanegra with Boito, a seeming trial run for the possibility of a collaboration on Otello. Boito was not like other librettists: Boito had theater craft convictions, Boito had achieved a modest degree of success as an opera composer, and was an admirer of composers outside the Italian realm, particularly Wagner and Meyerbeer. These traits would come to play an important role. While many hear vestiges of the Italian number opera in Otello, the departure from those conventions in Falstaff is undeniable. Here we see a major change for Verdi (musically and personally), one that allowed him to realize the dramatic evolution he had desired for over three decades. For the first time, he trusted a librettist in the truest sense of collaboration, a collaboration that became a partnership, and, in the end, a friendship that ushered in a grand finale to an already incomparable legacy. Jeremy Little was born on a farm in the middle of nowhere in the South and began piano lessons at age 3. Though distracted by football, farming, fence-mending, and occasional fishing, he eventually found his way to the Big Apple. He is a graduate of Louisiana State University, the Juilliard School, and Stony Brook University with vocal performance degrees, but often wonders if he would have made a good Forester. 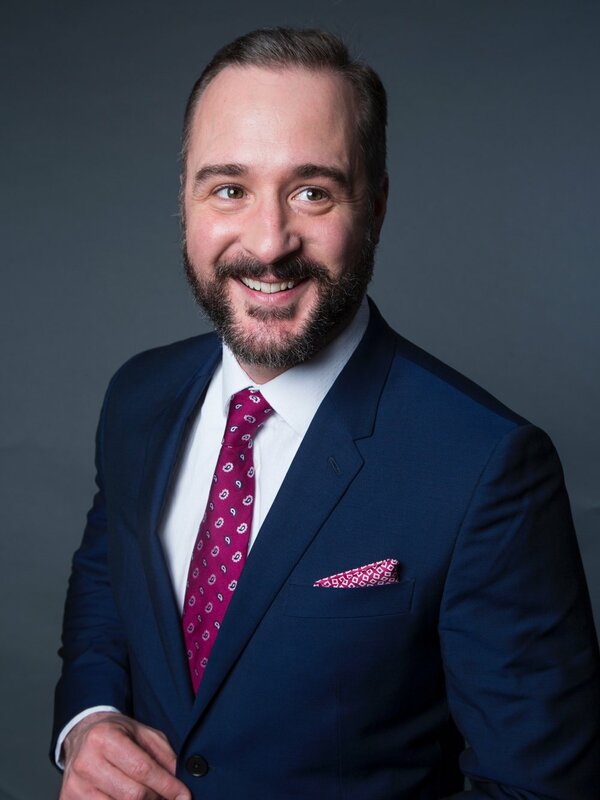 Before joining the Met Opera Chorus in 2008, Jeremy fondly remembers singing Roméo (Anchorage Opera), Nemorino and Fenton (Des Moines), Miss Lonelyhearts and Lysander (Juilliard Opera Center), Mosca and King Ouf (Wolf Trap; Volpone was Grammy-nominated), Edgardo (Aspen Opera Theater), Male Chorus (Stony Brook Opera), and multiple recitals with Steven Blier and NYFOS. In the rare moments spent outside the opera house, Jeremy enjoys doing pretty much anything with his beautiful wife, (Met Opera Actress) Anne, and his strapping son, Myles. Sign up with your email address to receive our Met Artists newsletter and timely, intriguing updates!